The Downtown Lakewood Business Alliance (DLBA) – a program of LakewoodAlive – is pleased to once again host the 7th Annual CityWide Street Sale on June 23-25. Merchant sales will be going on throughout Lakewood, and residents are encouraged to join in by hosting their own garage sale that weekend. 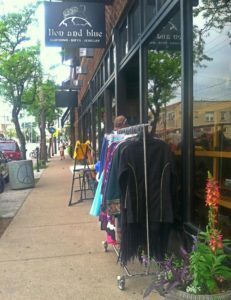 The CityWide Street Sale brings Lakewood residents and merchants together for three days of sales from Thursday to Saturday. This event draws enthusiastic shoppers from beyond our city limits, as they seek bargains and ultimately discover the numerous values Lakewood has to offer – shopping-related and otherwise. Sponsored by DLBA and First Federal Lakewood, the CityWide Street Sale is open to participation by all Lakewood residents and merchants. A limited number of complimentary CityWide Street Sale yard signs for residents will be available for pickup at Lion and Blue beginning Wednesday, June 15. Signs will be distributed on a first-come, first-served basis until they are gone. LakewoodAlive and DLBA will promote the general CityWide Street Sale weekend; however, residents who want their individual garage sales promoted are encouraged to do so on Craigslist under Garage Sales in Lakewood, or by taking out a newspaper ad. All individual sale promotions are solely the responsibility of the residents hosting these sales, as LakewoodAlive does not publish resident information. To register your business, please contact Noelle Champagne, LakewoodAlive’s Special Events and Volunteer Coordinator, at 216-521-0655 or nchampagne@lakewoodalive.com. Please visit LakewoodAlive.com/event/citywide-street-sale for more information. Lakewood’s CityWide Street Sale draws shoppers from across the region for three days of sales.